Matt C: There's one release that overshadows all the others this week, and it's kind of a big deal. After DC's misguided decision to absorb the Wildstorm Universe into the main DC Universe when they launched the New 52 was met with minimal interest, they appear to have realised that these characters work far better in their own, separate environment. Enter Warren Ellis then man who, with titles like The Authority and Planetary, reshaped the Wildstorm Universe at the turn of the century into something progressive, inventive and incredibly influential on pretty much any and all superhero comics that followed. Ellis can still pull it out of the bag when he needs to but my worry about his appointment as writer on The Wild Storm largely stems from his involvement in Marvel's newuniversal relaunch which sputtered out and was never completed. I have no illusions about Ellis being around for the long term, so long as he leaves the property in a good place for someone else to carry forward when he departs. DC has another new title of interest this Wednesday in the shape of Batwoman: Rebirth #1. Greg Rucka and J.H. Williams III produced some marvellously creative comics with this character several years ago and there investment in the project helped it become essential. 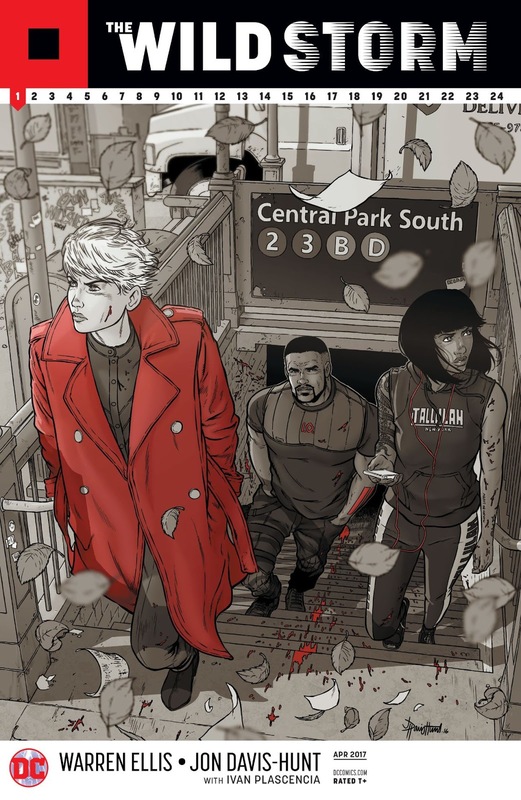 I'm not yet convinced that the team of James Tynion IV, Marguerite Bennett and Steve Epting can reach the same heights, but I'm more prepared to approach this new series with an open mind. If these books disappoint then I know I can turn to Image and Marvel for, amongst other titles, new instalments for both Kill Or Be Killed and Old Man Logan, two of the best series currently being published. Stewart R: As I sit here writing this, upon Valentine's Day, I look upon my pull-list and am very happy to see one title in particular sat there, an adaptation of a science fiction novel which contains, for me, one of the most romantic scenes I've ever read. The Forever War is also about relativity, and warring alien races, and laser-wielding battle suits, so there's something for everyone here I'm sure. Conversion of a novel to another form of media is always a strange prospect though, so a little part of me is apprehensive about what may not make the transition, or what might be adjusted to make the illustrated story flow better for this iteration as it spans its six chapters. Also high upon the expectation scale is God Country #2 with the opening chapter being a top notch read and the stall being set for fantastical things to come this week and in the months ahead. I'm particularly interested to see how writer Donny Cates continues to deal with Emmett's mental and physical health following his miraculous transformation and just how that may play back and forth as the story unfolds. Finally, I must state that, following a concerted effort, I am now fully caught up on both Aquaman and Superman over at DC and have to say that both have been incredibly strong runs to this point. It's crazy to think that we're already up to issue #17 for both books since 'Rebirth' kicked off, but neither of these titles have flagged in any way. And long may that last!